Tobacco is the leading cause of cancer. There are many preconceived ideas about the risks associated with tobacco. The government regularly launches awareness campaigns to restore certain facts about the health risks related to tobacco. For example, the risk of dying from tobacco increases with age. However, tobacco can also kill a person at 40 years of age with lung cancer. Many people think that smoking 4 cigarettes a day is reasonable. This is of course not true. Especially since the risk depends much more on the duration than on the dose. If we double the dose, we will double the risk; and if we double the duration, we will multiply the risk by 20. What are the risks that threaten smokers? The harmful effects of tobacco are considerable. One in two smokers will be killed by their smoking habit and smokers lose ten years of their life expectancy. When tobacco is consumed, it releases many toxic substances, including tars, which act directly on cells by modifying their DNA. As a result, the affected cells could eventually become cancerous. A smoker increases his chances of developing one of the 16 cancers: lung cancer, breast cancer (in premenopausal and postmenopausal), cervical cancer, colorectal cancer (risk of polyps), esophageal cancer, kidney cancer, laryngeal cancer, myeloid leukemia, liver cancer, oral cavity cancer, nasal fossa and paranasal sinus cancer, ovarian cancer, pancreatic cancer, pharyngeal cancer and stomach cancer. The Quebec Tobacco Council reminds us of the serious threat. Every year, 37,000 people die from tobacco, 60% of them from cancer and the rest from cardiovascular and respiratory diseases. In 2017, 1070 Quebecers were diagnosed with oral cancer and 300 people died from it! The treatment of this cancer requires the removal of part of the lip, tongue or nose. 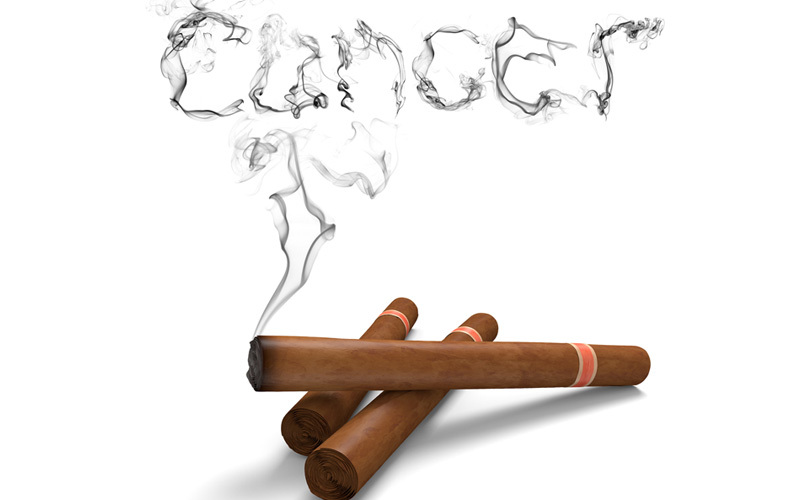 83% of people with lung cancer from tobacco will die within five years after being diagnosed. The Quebec Tobacco Council warns of the psychological consequences of smoking. "The person dealing with a serious illness who cannot choose to quit smoking is in a vicious circle," says Dr. Marika Audet-Lapointe, psychologist and neuropsychologist in oncology. “The person knows that her illness is caused by tobacco consumption that compromises her life expectancy. She is constantly struggling among the desire to live and the thoughts such as ‘it's too late anyway’, the judgment of those around her because of her not being able to quit smoking, her own judgment and the anxiety related to the progression of the disease and its treatments." Secondary smokers are 30% more likely to develop smoking-related cancer than non-smokers. Regular inhalation of tobacco smoke would increase the risk of lung cancer. Attempts to quit smoking must be based on therapeutic and psychological measures adapted to the intensity of the addiction. When tobacco addiction is strong, help is needed. A natural, painless and effective therapy remains the best choice. The Stop Centres has been working on helping people to stop smoking for the past 18 years. The unique and effective Stop TobaccoTM soft laser auricular therapy combined with personalized coaching in the Stop Centres has helped tens of thousands of Quebecers to quit smoking successfully. Contact Stop Centres today for more information about our natural approaches.